Laura Curtis, LCSW, is a Licensed Clinical Social Worker practicing with Northwest Neurobehavioral Health, LLC. 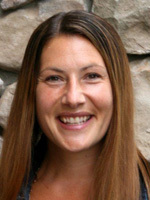 Laura is a founding partner of Northwest Neurobehavioral Health and enjoys assisting children and their families experiencing transitional/adjustment struggles, attachment disruptions, abuse related difficulties, Autism Spectrum Disorders, brain injury, parenting difficulties, trauma and/or mental illness. Her goal is to educate and assist children and their families in building a working understanding of brain development, recognizing their strengths, enhancing self-esteem, and building the skills necessary for successful relationships within the family, with peers, and in social environments. Laura completed her undergraduate degree in Child Development/Family Relations at the University of Idaho in 2002 and completed her Masters of Social Work at Boise State University in 2009. Her graduate studies focused on linking children in foster care to mental health services and a therapeutic curriculum for children of incarcerated parents. Laura completed a fellowship with the Utah Regional Leadership Education in Neurodevelopmental Disabilities in 2013 and currently serves as the site facilitator for the URLEND Boise trainees. Laura is a member in good standing of the National Association of Social Workers has served on the board for the Idaho Society for Clinical Social Work since 2008.